Kissing under the mistletoe can be a cherished holiday tradition - but why do we do it? 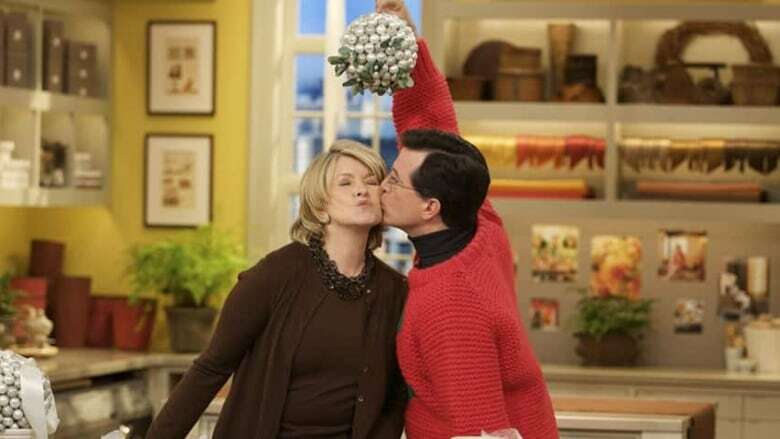 Kissing under the mistletoe can be a cherished holiday tradition — but why do we do it? According to the Natural History Museum in the U.K., the custom took root with the ancient Druids. The Druids were the educated and religious class of the Celtic peoples who existed in some form until about 600 A.D., and they believed mistletoe to be sacred. They also believed the plant would make people more fertile and bring good luck, and warring clans would lay down their weapons if they met underneath a sprig of mistletoe. The Celts took to hanging mistletoe as a symbol of goodwill and friendship and in fact, the practice was banned by many Christian institutions for centuries due to its apparent pagan history. There was a surge in interest in Druids around the 18th century and it happened to be during this time that mistletoe came to be associated with Christmas. People began harvesting and buying mistletoe to use as decorations, and considered a kiss under the mistletoe to represent a promise to be married. Another possible explanation relates to the numerous berries that sprout on the mistletoe. "The kissing superstition probably originated in a Victorian game in which a young man was allowed to give a women only as many kisses under the mistletoe as there were berries on the bushel," Harry Oliver writes in his book, Black Cats & Four-Leaf Clovers: The Origins of Old Wives' Tales and Superstitions in Our Everyday. "The berries the young man would then present the woman with were thought to bring her good luck, fertility and prosperity for the coming year." However it came to be, the tradition of kissing under the mistletoe is one widely acknowledged during the Christmas season and seems firmly rooted in holiday customs — and that's not likely to change any time soon.